I am working on Beyond TAST, a stitch challenge by SharonB. Time was spent on looking at kogin patterns and pattern darning. There are so many. This blog has lots of kogin patterns. Wonderful work. 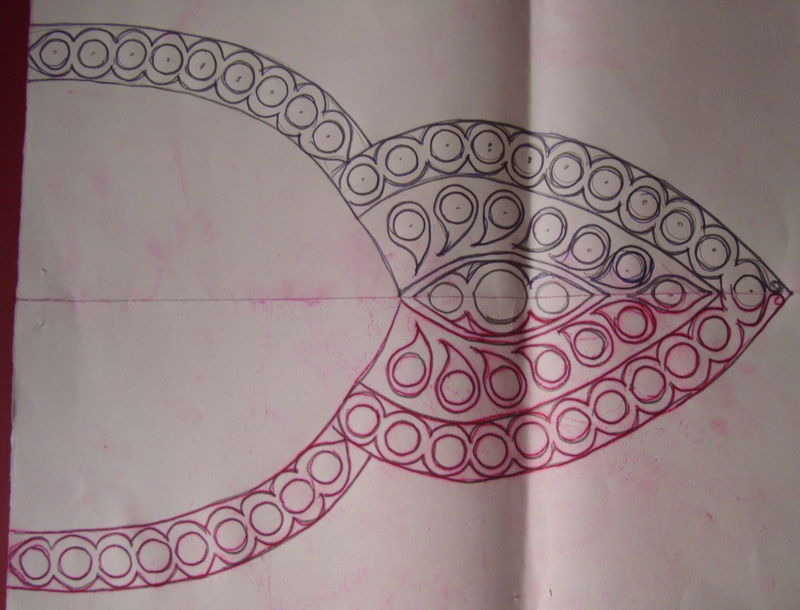 This pattern drawing can be a continuous process, which starts now. By this way I am easing the pressure of working within a time frame. The fabric chosen for this Kogin sampler is loose weave towel from India. It is most ideal for our climate, absorbs moisture, used as filtering soaked grains, dries up fast, totally useful even after it is torn actually. Now the new use of doing embroidery. It is not easy to handle this loose fabric, but hoping practice will make it easier. Yet to check the fabric count, but the weave is quite close. This embroidery also comes under running stitch style. Browsing the net for Swedish weaving or huck embroidery was also part of this week’s occupation. Before even attempting to try the stitch, an idea of working a border on a small towel was implemented today. More clear picture of the embroidery. The work was done with perle cotton. Feeling quite satisfied, is all I can say. Will continue this running stitch journey. I came across this site through a sharing on face book. the embroidery is done on leaves. check it out. I wanted a yoke fully done in mirror work. 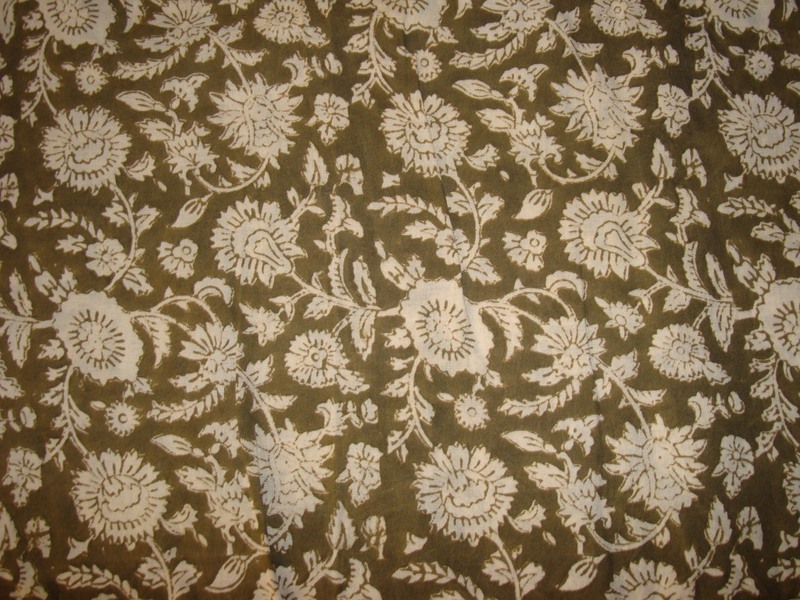 With the help of a stencil this yoke pattern was drawn. 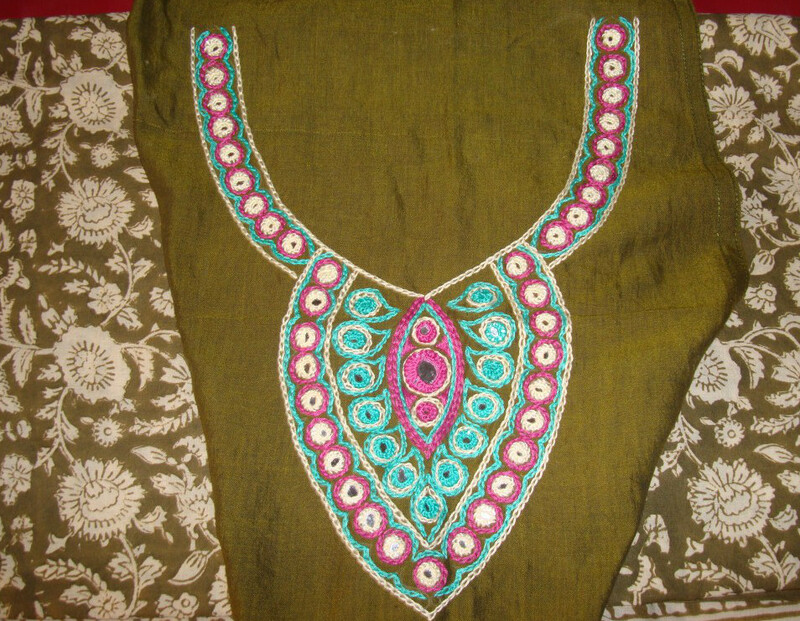 The yoke was worked on plain green fabric. The main colour was half-white. The other colours used were dark majenta and medium blue. The mirrors were worked in all the three colours. 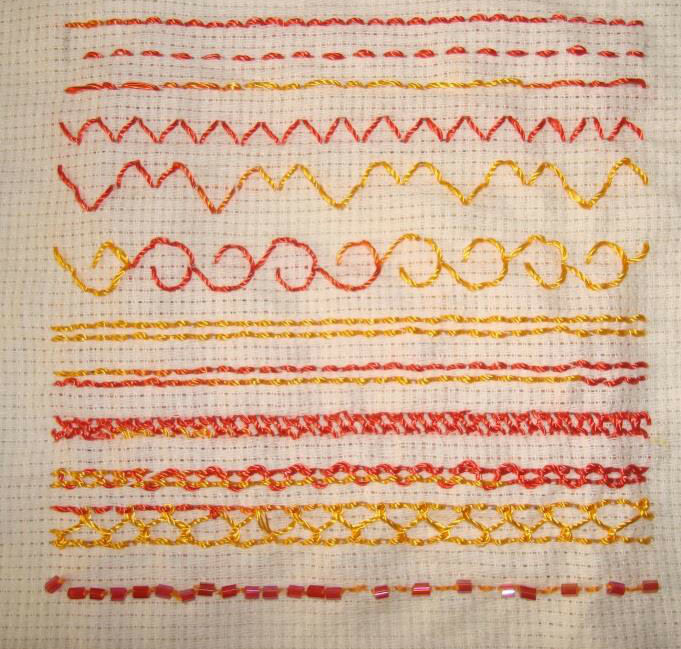 Other than the mirror work stitches, chain stitch was used for outlining. The completed yoke before going to the tailor. 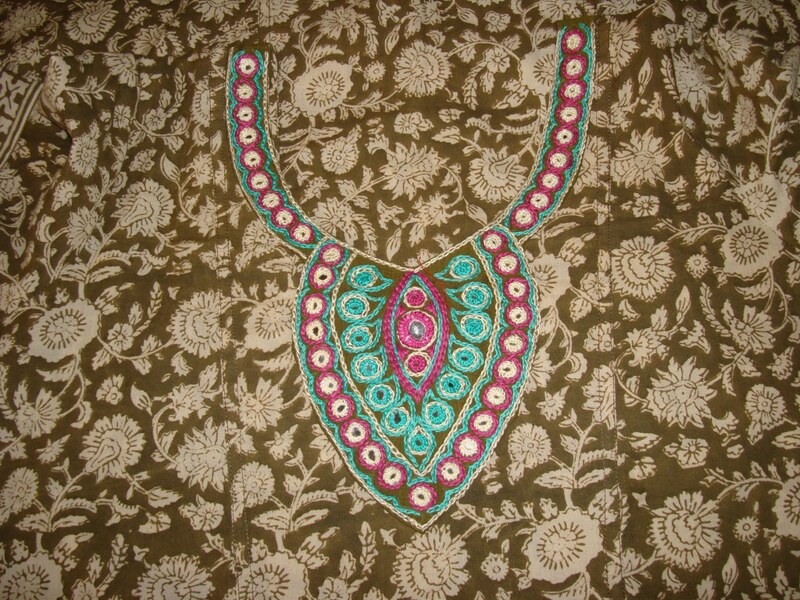 Generally the mirror work in Indian ethnic embroidery is done in bold colours. Though I have used a few colours, this cannot be called bright. 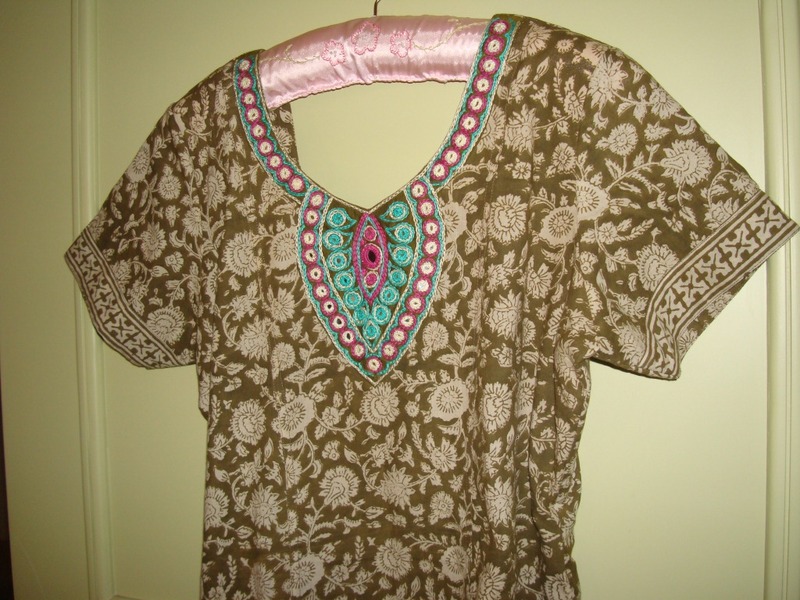 The tunic fabric also has a border in same colour. I have seen tunics embroidered on these borders. It is definitely easier than copying and embroidering a border. 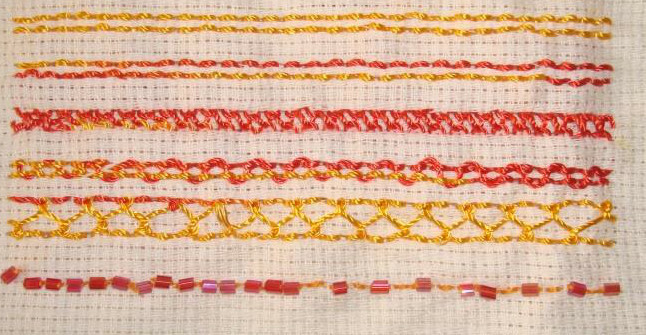 But using embroidery loop can be done only by attaching another fabric to the border. I found this blog through Facebook group, where this person has been resourceful about the Indian ethnic Chikankari embroidery. 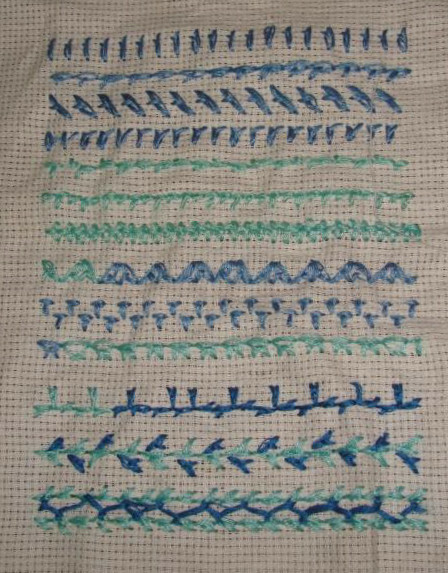 Preeti has given the name of the stitches and explained clearly with pictures how to work them.it could be useful for the people who are interested. Worth checking it out.